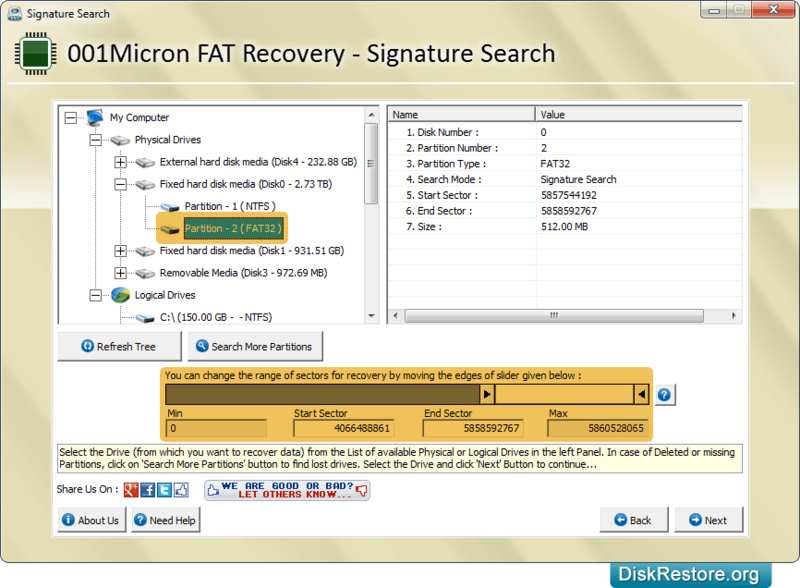 FAT partition data recovery software restores deleted files and folders to ensure retrieval of data from Windows hard disk drives in all data loss cases including accidental file deletion, lost files, formatted disk, logically crashed drive and many more. 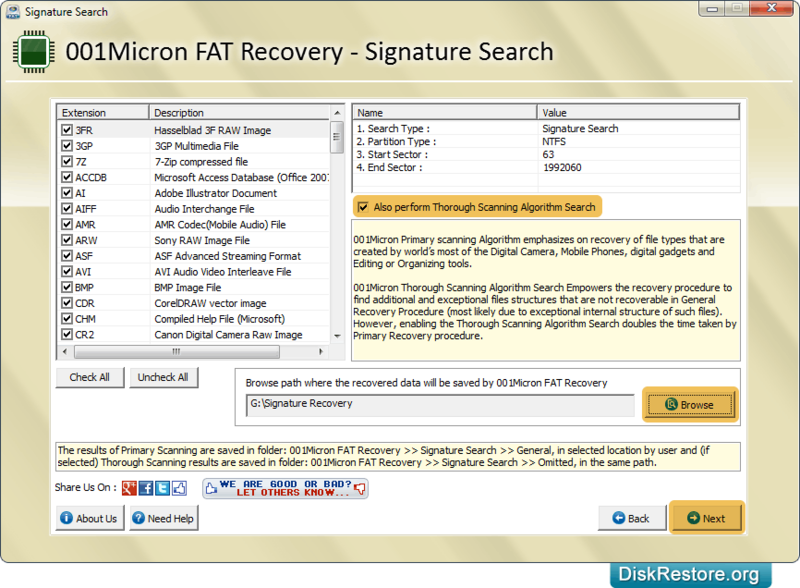 Hard disk recovery software retrieves data from all types of hard disk drives including IDE, ATA, SATA, EIDE and SCSI. File retrieval software performs complete scan disk drive to restore data regardless of how they were deleted from Laptop or Desktop system. Select partition from left panel and click 'Next' button to proceed. Browse path where you want to save the recovered data and click Next option. 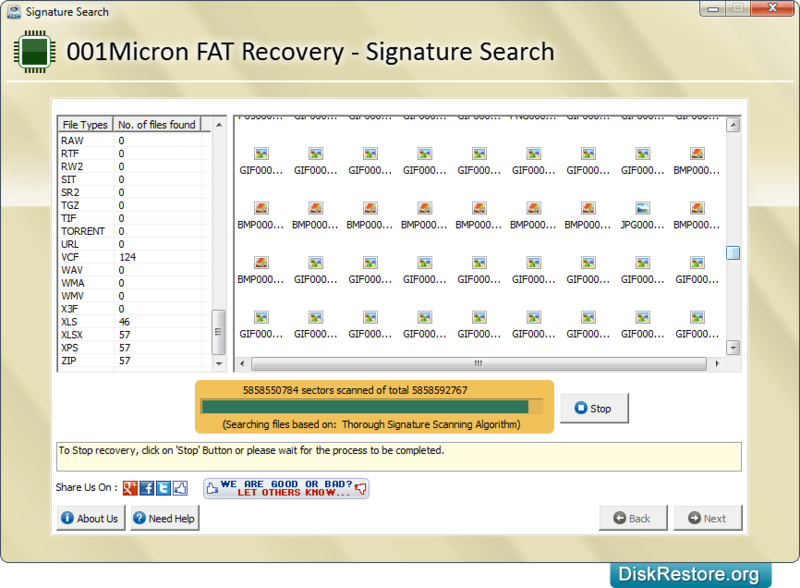 Data recovery process (using Thorough Signature Scanning Algorithm) is in progress. 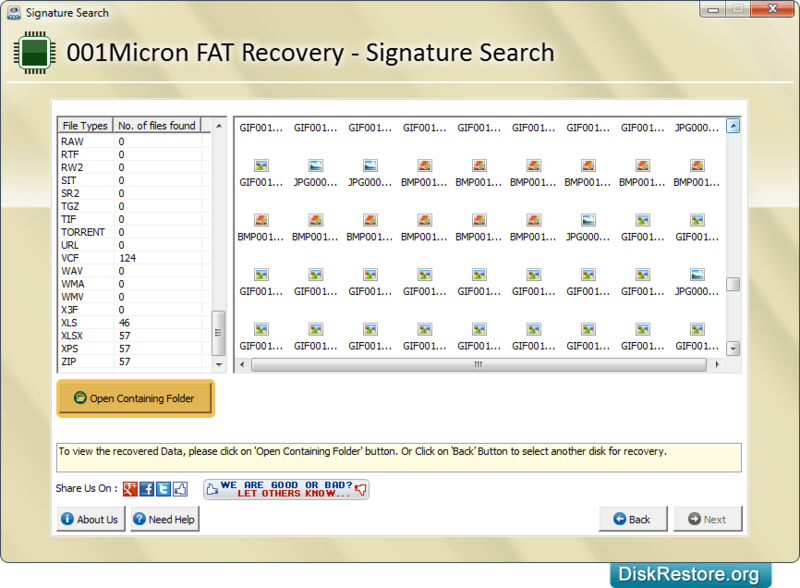 To view the recovered data files, click on 'Open Containing Folder' button. 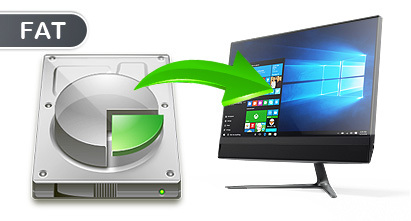 Easily retrieve and restore lost data from hard disk of PC or Laptop-Desktop system. Smoothly works with major branded hard disk manufacturers including Seagate, Maxtor, Western Digital and other equivalent brands. Search, locate and save the retrieved data at user specified location.